Chef Brandon Campney graduated from The Culinary Institute of America in 2012. Shortly after graduating he worked his way up to his first sous chef position. He worked in multiple restaurants in the Hudson Valley of New York before moving to New Jersey to work at The Stirling Hotel in the summer of 2015. During his tenure at The Stirling Hotel the restaurant received NJ Monthly People’s Choice Best Burger in 2015 and 2016 as well as Best American Restaurant in 2016. After proving himself to be a strong team player and key kog in the every day success at The Stirling Hotel, the decision was made to have Chef Campney help open Stirling Tavern in Morristown. Right from the get-go Stirling Tavern was extremely busy and quite popular, due in large part to the creative and expertly crafted menu designed Chef Campney. NJ.com quickly recognized Stirling Tavern as one of the hot restaurants to check out in New Jersey. 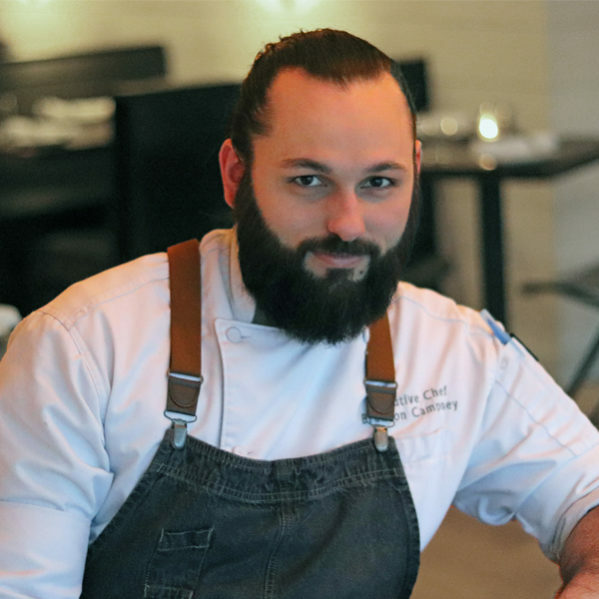 At the young age of 26, Chef Campney is still pushing himself to experiment with new ingredients, techniques, and ideas to help fuel his passion for food and cooking.